I started helping a couple of friends with their website but we ran into an issue. I want to sort articles but in my opinion not on price or something like that. I want to change the order of them by my thoughts. 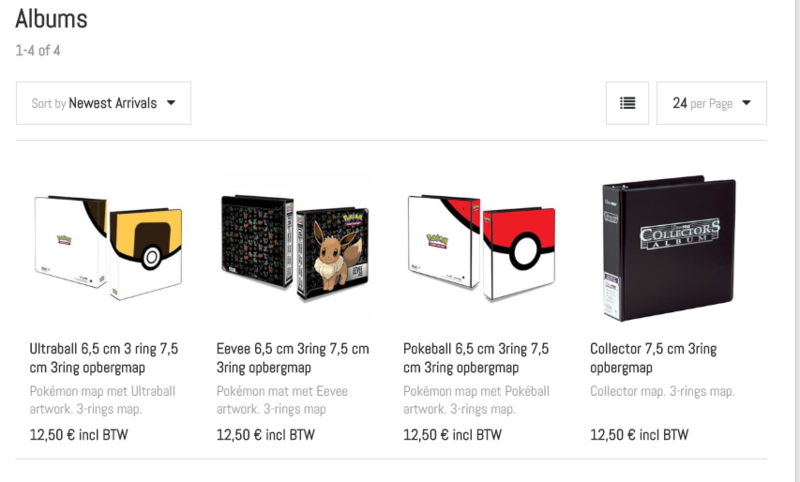 For example i want to put the black one first, then red and white, then ultraball and then eevee. Now my question is where can I do that? Or is this not possible. Can you guys please help us because that would be great. Display order on your last screenshot is the right setting for it. An update of the shop version is recommended. So is it ok if i install the latest version of smartstore? the 3.1.5.0 version? if you want to display these products in a specific order you need to change the numbers in the column "Display Order" to 1 > 2 > 3 etc. It is always recommended to update your Shop. Does this mean i need to upgrade to smartstore.net version 3.1.5.0? You dont need to upgrade your shop to solve the problem, but if you want to use all the new features then you should update to 3.1.5.0 this is only a recommendation. I tried and it doesnt work with the version that it is now. Is there a setting somewhere where that i have to disable or enable to use the display order? Clear the cache and restart your shop. Does the problem appear when you change between grid and list? I cleared the cache and resterted. But nothing changed. It doesnt matter if i change between grid or list. It never works. Its probably this that is causing the problem. Its an old version. I very new to using it cause i am now helping some friends with it. It seems by reading your problem, its exactly the same as mine. Is there anything i can change the sort by to position and not relevance like shown in the picture? I changed it in product list -> List-> default product sort order -> position but it still has the same problem. Cant this be changed by any admin? or looked at so this bug can be fixed? I forwarded the problem to our developers for review. Thank you, hopefully they will do something about it quickly because this will help a lot for my website. Is there any news about this? If this would work, it would help a lot on our website. Yes, it has been fixed, but it will not be available until the next version. When "Configuration > Settings > Catalog settings > Product lists > Show featured products in lists" is activated then the problem should not occur. Thanks, even if i activate it, it doesn't work. We will have to wait till next version then. 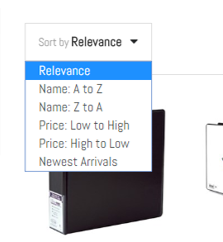 I was able to change the : Default product sort order there to "Relevance / Position" instaid of Recomended.